Meaningful accessories contribute more than beauty to a room. They let visitors know a little about your life and personality. A collection of treasured family photos in a variety of frames can add real warmth to a great room, bedroom or even a kitchen. Books can also be meaningful accessories in a room. You may have a shelf of classic novels passed down to you from your grandparents. You display them because you love the stories right along with the personal history attached to the books. Another way to use books as accessories is to display titles that communicate something about your beliefs or outlook on life. Candles, books, glass sculptures and artificial flowers are just some of the items you can put on a set of shelves in your great room, dining room or kitchen. It’s important to pair accessories with shelves of the appropriate size. Avoid putting too many accessories on one shelf and be sure to measure, allowing for two or three inches of free space. The same rule of thumb goes for coffee tables and countertops. 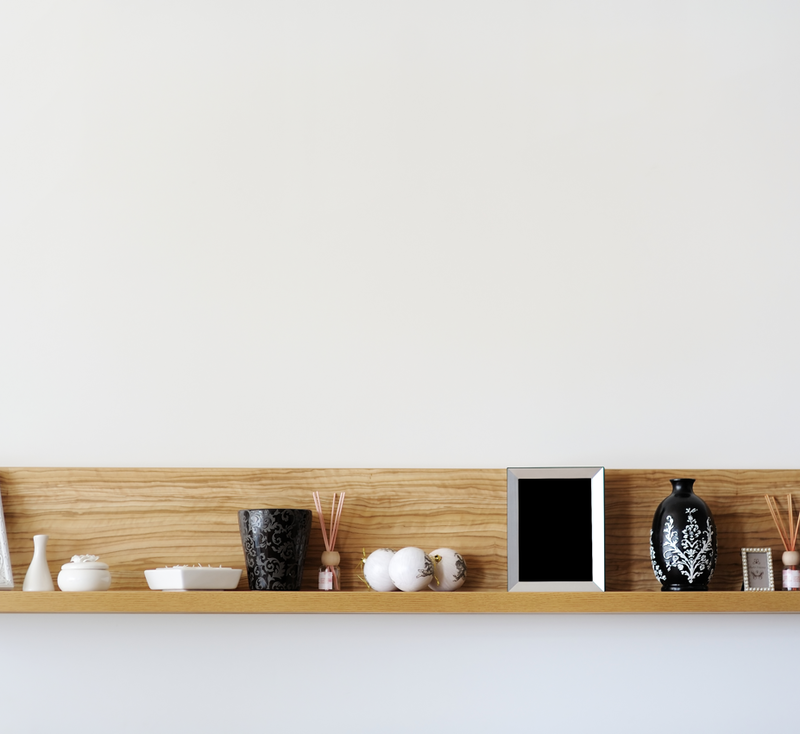 Framed photos, vases and figurines only look appealing if there is plenty of free space around them. After arranging your accessories on a table, step back and be honest about whether there are too many items gathered there. 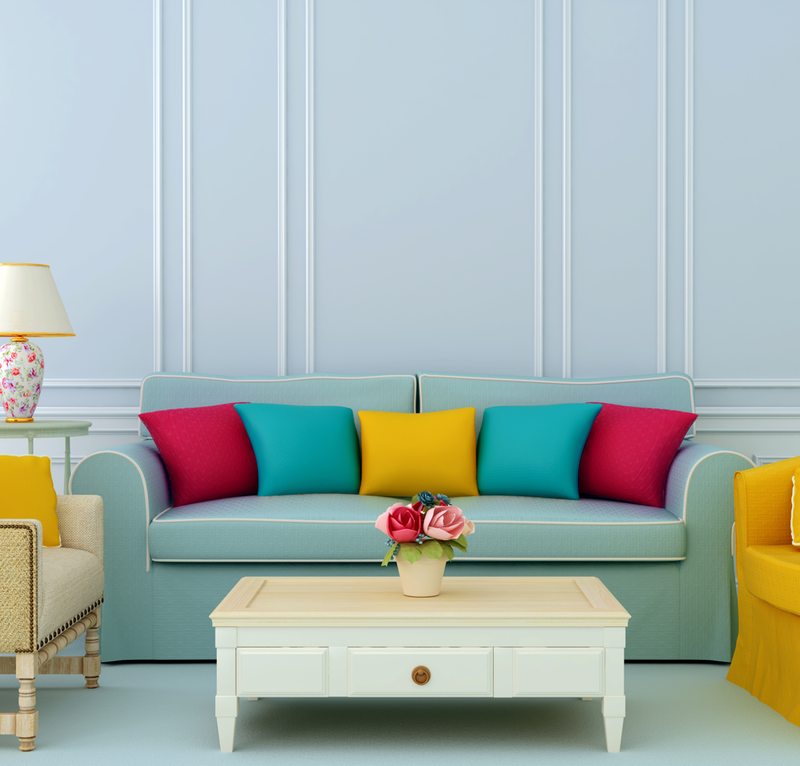 Look at the colours in a room’s décor before choosing accessories. Instead of selecting accessories in the exact same colours, go with different shades of the same. If you have walls of royal blue, consider a pastel blue vase brimming with baby blue hyacinths. Maybe you like to mix your colours in a more dramatic way. If you have lavender walls in your bedroom, choose several throw pillows in a soft yellow to complement the wall colour. Fortunately, there are many colours that go well together which can make a room’s décor all the more inviting. If you have a framed print or another piece of wall art you love, you can use it to choose some appealing accessories. Maybe you have a classic print featuring a field of blowing sunflowers. This would pair well with a dark brown music box, a bright yellow pot for a houseplant or a bright green frame for a photograph. You may also want to choose a light to position over your favourite piece of wall art to show off all its lovely colours and textures. Choose a light in a design matching the other lamps in the room. If you choose stainless steel lighting for a piece of artwork in your bedroom, then go with a stainless-steel base for the lamp on your bedside table. Maybe the comforter or quilt on the bed in your guest bedroom has a dramatic zig-zag pattern. Perhaps you have an area rug with the same pattern in a different colour. A fun accessory for this room would be a hanging Boston fern. The distinctive fronds of a Boston fern can help to subtly echo the zig-zag pattern in the room. If you have a wallpaper border in your foyer featuring an oval pattern, find a mirror with an ornate oval frame to echo it, or a small oval welcome mat on the doorstep or inside the foyer. Even the smallest accessories can be effective at echoing the patterns in a room’s décor. Think about getting accessories which are both decorative and practical. An ottoman can make a room look more stylish and it can also act as storage for small items like books and TV remotes. As a bonus, an ottoman makes for a great footrest after a long day of yard work or other household chores! Take a closer look at the handles and knobs on the doors and cabinets around your home. A handle on a kitchen cabinet necessary and practical, but it can also be decorative. If you have copper pans and pots in your kitchen, why not find some cabinet handles or knobs in the same colour? This is a subtle addition, but it helps to bring harmony to a kitchen’s décor. Lastly, these ideas can help you to choose accessories that highlight the best parts of your home. Taking time to consider your accessories can make your rooms even more pleasant to spend time in.